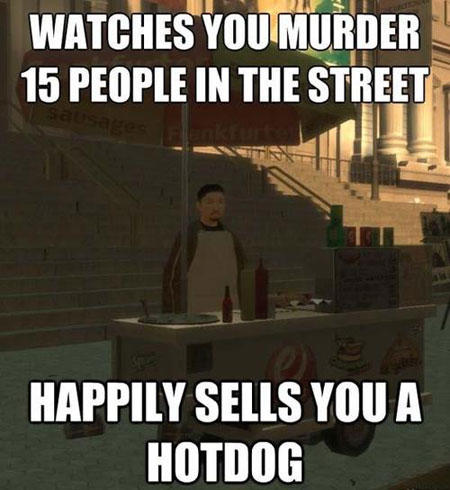 It's none of his business, like it's none of our business where he gets his hotdog meat. Would gta 6 hurry up already? 1 more month and gta 5 is half a decade old! I’m not getting any younger rockstar! 2022 is a long time away. There's always RDR2 though. Last night I played the mobile versions of Chinatown Wars and San Andreas. I used a logitech F310 controller connected with a USB OTG adapter. San Andreas worked almost ok but had some screen tearing and crashed twice. Chinatown Wars worked perfect. This helped relieve boredom on a long flight. But now that I'm home again I want to make it work on my tv. Iced Coffee Man wrote: Last night I played the mobile versions of Chinatown Wars and San Andreas. I used a logitech F310 controller connected with a USB OTG adapter. San Andreas worked almost ok but had some screen tearing and crashed twice. I've played it on the TV using Chromecast, it runs alright. Happy 5th birthday GTA V! It is amazing that this game is so popular. Wouldn't you think people would get tired of it after so many years?